Is Woody Harrelson Playing Garris Shrike in the Han Solo Film? Outside of the cast, little is known of the upcoming young Han Solo A Star Wars Story film from directors Phil Lord and Chris Miller (The Lego Movie, 21 Jump Street). The story takes place several years before the events of A New Hope and will feature Han (Alden Ehrenreich) on an adventure with Lando (Donald Glover), Chewie, and a new character played by Games of Thrones star Emilia Clarke. 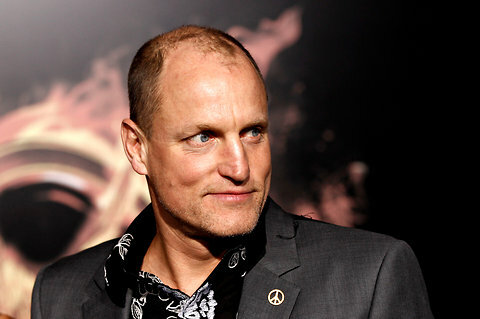 Also in the mix is Han Solo's mentor, played by Woody Harrelson. Harrelson was at the Sundance Film Festival and he was asked about the role by during a Variety Q&A. As you can see, Harrelson seems a bit confused by the question (as if he's never heard the name "Garris Shrike" before). When the person asking the question attempts to clarify for him, it sounds more like they are just asking if he's playing Han's mentor (which he's already confirmed). So when Harrelson answers the question, it appears to me as though he is only saying yes to playing Han's mentor--not Garris Shrike specifically. I'll let others sort it out, but ask yourself - what question was he answering? #cryptictweets. @LucasSiegel It's Darth Vegas all over again. These guys don't know these names. While it's still technically possible (though highly unlikely) that Harrelson is playing Shrike, his character would probably be similar to the one from the books in name only. It wouldn't be more than a tip of the hat to the old Legends stories, but even that seems unlikely. (Again, Harrelson doesn't seem to have ever heard that name before the question was asked). I hope Han's entire backstory gets a reboot, but paying homage to the EU version with names would be a nice tip of the hat, as you said.